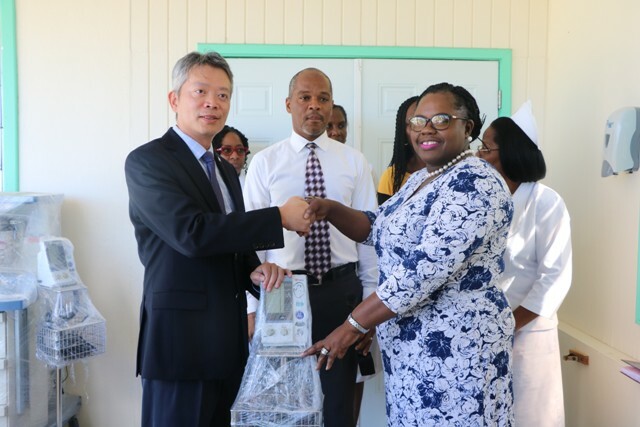 NIA CHARLESTOWN NEVIS (February 12, 2019) — The Alexandra Hospital on Nevis, through the Ministry of Health in the Nevis Island Administration, was presented with a gift of medical equipment and supplies by His Excellency Mr. Tom Lee, Republic of China (Taiwan) Resident Ambassador to St. Kitts and Nevis, at a handing over ceremony at the medical facility on February 12, 2019. “As you know, Taiwan is a strong ally of St. Kitts and Nevis and of course we are very willing to share our love and also our medical resources. 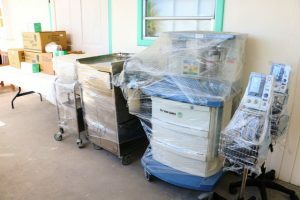 So when we received the request last year, our embassy immediately informed the Global Medical Instruments Support Service and they worked very hard and they made immediate medical equipment available and delivered to Nevis within a very short time. “So today on behalf of the government of the Republic of China (Taiwan) and GMISS as well, I am very pleased to hand over the needed equipment to the Alexandra Hospital. 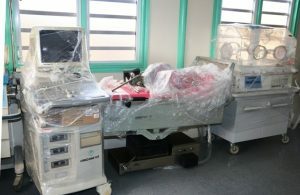 This equipment includes a portable ultrasound, X-ray machines, so you could rest assured our embassy would continue to work hard so more and more people can benefit from our relations,” he said. The Ambassador explained that the GMISS programme is a platform, through which usable medical equipment in Taiwan is collected and donated to hospitals in need throughout the world. He said medical equipment is important to hospitals but they are expensive and many hospitals cannot afford them. Hon. Hazel Brandy-Williams, Junior Minister of Health who accepted the gift on behalf of Hon. Mark Brantley, Senior Minister of Health, thanked Ambassador Lee and the government and people of the Republic of China (Taiwan) for what she described as a kind and generous gesture, and expressed gratitude. “The business of healthcare is a very expensive one, and so when persons can partner with us in this very tangible way, it is something that we appreciate greatly and so, we would want to place on record our profound thanks to you and to your government, and so on behalf of my entire government we accept your generous gift and we look forward to continued years of partnership,” she said. The Federation of St. Kitts and Nevis and the Republic of China (Taiwan) have enjoyed a mutually beneficial relationship since they established diplomatic relations 35 years. Also present at the ceremony were Mrs. Shelisa Martin-Clarke, Assistant Secretary in the Ministry of Health; Mr. Gary Pemberton, Hospital Administrator; Matron Aldris Dias; Assistant Matron Jessica Scarborough; and Nurse Manager Joya Parry-Lake.